Gebr. Winter GmbH manufactures a wide range of airspeed indicators with a variety of speed ranges and dial configurations available, 80mm and 57mm. 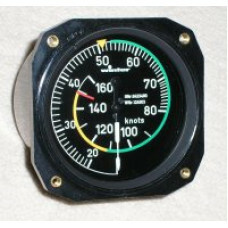 An EASA Form 1 is supplied with each. 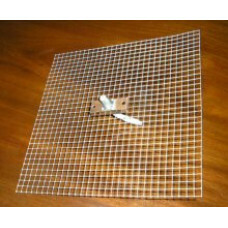 The most popular version, illustrated, is 80mm and indicates up to 250kt and has 1 and ½ revolutions. The 80mm versions made for LX avionics Ltd have individual knots marked up to 80. Zero is at the bottom of the dial although other layouts are available. Please specify with your order where you want the zero to be. Colour marking can be carried out during manufacture and reflected on the EASA Form 1 issued; alternatively it can be retrofitted in the UK but in this instance the EASA Form 1 will not refer to any colour marking having been done. Mounting screws are included. 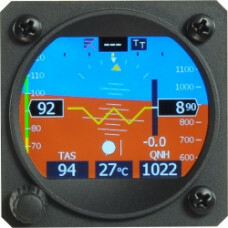 Gives AHRS, ASI, Altimeter; Track, slip ball and moreLightweightLow power consumptionQuick run up (l..
PowerFlarm Core Pure - Flarm Tx & Rx only. 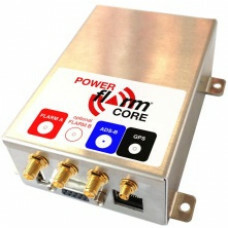 Small enough to fit behind the instrument panel, Power Flarm Core offers huge flexibility in install..